The PROFEPA performs inspections at ports, airports and border areas, carries out preventive actions of a phytosanitary nature. It also reviews the legality of sources for the import/export of specimens, products and sub-products of native flora and fauna. When entering Mexico, you are required to declare at Customs if you have with you any animals or plants, as well as their products or byproducts. Make sure that the product you are going to acquire — both in Mexico and abroad — comes from an authorized place and request a receipt or invoice. You have an invoice with information that proves its source is legal. 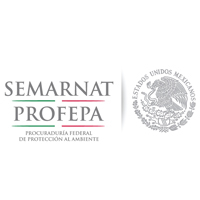 Request permission to export or import prior to transfer directly to the SEMARNAT. For living specimens, you must consider the type of mark they have: ring, microchip, tattoo, clips, tags or labels. Present documentation, such as payment of fees, E5 Format. If the amount of import or export is greater, the Cargo Customs Process must be followed. Gate “E1”, International Arrivals, in front of luggage conveyor belts 10, 11 and 12. Gates “E2” and “E3” next to luggage conveyors belts from 13 to 20. Gate “E”, International Arrivals, ground floor, close to access door 7. Hours: 06:00 a.m. to 22:00 p.m.
Public hallway area, ground floor, office number 57. International arrivals. Schedule of attention: from 06:00 hours to 22:00 hours. Tel: +52 5589-0119 y 5589-8550 ext. 19852, 19858 y 19859. To formulate and manage inspection and monitoring policies to comply with legal provisions on the import/export of wildlife, materials and hazardous waste and genetically modified organisms. To verify compliance with non-tariff goods restrictions subject to regulation by SEMARNAT. Monitor compliance with phyto-zoo-sanitary control standards applicable to wildlife and in matters of import/export of forest resources. Issue “Registration Verification” forms to verify compliance with non-tariff restrictions at ports, airports and border areas. Since Mexico is a party to the International Plant Protection Convention, it must comply with the international provisions that have been established for plant health control at the time. PROFEPA inspects specimens (bonsai trees, Christmas trees, bamboo), products (trunks, wild seeds, rattan and guaco) and wood and non-wood forest byproducts (packing, handcrafts, mimbre, wood sculptures or etchings, frames and furniture), to ensure they are free from pests and diseases, and comply with sanitary requirements. One or several of the following documents is/are requested, depending on the case: a pre-filled form for the Verification Record (RV), sale-purchase receipt or invoice, plant health certificate of importation, valid payment of fees, CITES certificate or authorization for import/export. Wishing to protect Mexico’s existing biodiversity, Mexico has been a party to the Convention on International Trade in Endangered Species of Wild Fauna and Flora (CITES) since 1992. This Convention, with more than 162 signing countries, looks to protect wildlife species cataloged as in endangered, threatened or subject to special protection through regulations on their trade. PROFEPA is the entity in charge of verifying compliance with provisions laid down in CITES. Inspection is done in accordance with current environmental legislation (the General Law on Ecological Equilibrium and Environmental Protection and the General Law on Wildlife), as well as the Procedures Manual for the Importation and Exportation of Wildlife, Forestry Products and Byproducts and Hazardous Waste and Materials, subject to Regulation by the Environment and Natural Resources Ministry, NOM-059-SEMARNAT-2010. This inspection includes verification of such things as: the specimens, products (dissected animals, animal parts such as horns, antlers, hooves, feet, skin, hides and meat, heads [as trophies] and scientific samples) and byproducts (clothing made from skins, shoes, belts, handcrafts and oils) of wildlife. The following documents are also verified, on a case by case basis: a pre-filled form for the Verification Record (RV), sale-purchase receipt or invoice, valid payment of fees, CITES certificate or authorization for exportation issued by the country of origin and/or CITES certificate or authorization for importation issued by SEMARNAT. CITES authorization/certificate for importation, as applicable, issued by the General Directorate of Wildlife — SEMARNAT. CITES certificate from the country of origin, if required. Plant health importation certificate issued by the General Directorate of Wildlife — SEMARNAT, if required. Items for personal use will not require authorization for import/export, provided they do not exceed two pieces of same product, except for the species included in CITES Appendix I. Note: Items for personal use are ornamental products or byproducts, accessories and clothing items prepared with specimens, parts or byproducts of wildlife. When transporting them across a border, they must be worn, included in personal baggage or included as part of a move of household goods (art. 69 of the regulations of the general law on wildlife).